Danielle Scarano, a partner of the firm, focuses on estate planning, estate and trust administration, estate and fiduciary income tax planning and elder law planning. Her practice includes preparation of wills, revocable and irrevocable trusts, powers of attorney, health care proxies and prenuptial agreements for individuals of all ages. Danielle advises high net worth clients on multi-generational wealth preservation. Danielle started at McCanliss & Early in 2001 as an associate after practicing as a trusts and estates associate with another New York area firm. 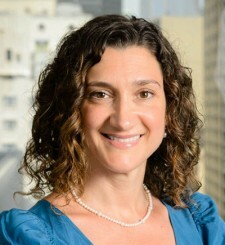 She became a partner of the firm in 2009.